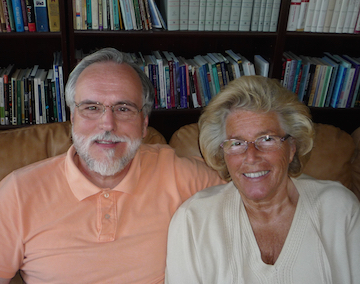 Rita and I were both saved in the early 1970s at the end of the Jesus Movement era when the charismatic renewal swept through upstate New York, resulting in the conversions of thousands of young “hippies.” Since then, our lives have geographically spanned North America. Our church “ministry” experience ranges from janitorial duties to “senior pastor” within a traditional paradigm. Our “secular” work history includes owning and operating small businesses in upstate PA, and employment with different Fortune 500 companies in metallurgical engineering, optical waveguide engineering, and customer service for myself, and as an X-ray technician, and day care center operator for Rita. I received my undergraduate secular education at Corning Community College in Corning NY, and my BA, MA, and D. Min. through Christian International College and Graduate School at Santa Rosa Beach, FL. Rita received her X-ray training at St. Joseph’s Hospital in Elmira, NY, and her BA in Biblical Studies through Christian Life School of Theology. We’ve pastored and ministered in traditional churches, home churches, organic churches, conferences, and Bible Schools in nations on four continents. In 2005 we finished a pastoral assignment within a traditional church structure, and began a journey looking for a quality of kingdom life in the Spirit that was defined by intimate relationships in Christ—sharing life with those of similar values—rather than facilitating “meetings” and administrating an organization. 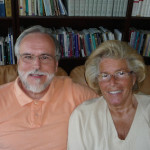 For the last twelve years we have not only had the joy of discovering fellow pilgrims in this way, but have also been providing leadership, counsel, and guidance to many who are in various places in a similar journey: re-evaluating belief systems, value systems, and practical expression along relational rather than organizational lines. While we are all about relationship: “one anothering” in a functional community as the foundation for all practical kingdom endeavors, we do have areas of passion and expertise. We strengthen the ekklesia worldwide through practical instruction of radical grace themes with strong emphases on the Person and Work of Jesus Christ and the outworking of the New Covenant in the life of the believer. We also emphasize the importance of understanding Semitic/Mediterranean basin culture and context when studying, interpreting, and applying the scriptures, especially the importance of understanding Jewish/Semitic worldview and values. We are also passionate for the manifestation of the full spectrum of “Holy Spirit” issues (gifts, ministries, healings, miracles, etc.) without the latent Gnosticism, baggage, freneticism, nonsense, control, fakery, and hype that so frequently accompany these things. We have three grown children, and four grandchildren. We have been married for forty years. For almost 40 years, the Lord has enabled and equipped me to help people from around the world extract themselves, and find healing from authoritarian, controlling, abusive religious systems and leaders. I have experienced the abuse myself and understand it spiritually, theologically, relationally, and psychologically; I help people recover, or perhaps discover for the first time, the reality of their sonship and relationship to their Father, rather than relationship to the church or Christian religion. I don’t do “counseling” as it is normally understood. For me, it is not about “fixing problems.” I want to bring healing and restoration through life reconfiguration. It is about deconstruction, and reconstruction of a life, according to Christ (not church, religion, doctrine, teaching, etc) . . . according to Christ in resurrection, in power; awakening to Christ . . . . coming out of decades of spiritual slumber and stupor, some of it done to us by others, some of it, our own doing: consciously or not. All by the reality of the indwelling Spirit. That’s my model of ministry. God bless, glad the article helped shine some light. You are not alone . . . your experience is, regrettably . . . too common. I’ve read with interest some of your website postings. My wife and I were saved over forty years ago and have been involved in a number of institutional churches and house churches during that time. I thought you might also be interested in our website http://www.ChristCrucified.info which I hope encourages and strengthens your faith in Christ. Hello Peter, thanks for making contact. On a slightly different topic… N.T Wright: Is he new covenant or a revisionist i some sense? Some of my friends suggested I read him. Dear Steve, thanks so much for being faithful over these years in circulating your studies and notes to me. I have only just got back to that place where feel I can be engaged again with Christian exploration. It’s been a long and hard four years since my wife died and i am not sure I will ever get over it. I married again recently a very fine Christian widow here in North Devon. I moved away from Exeter where I had lived for 36 years. I remember first meeting you and Rita in Plymouth UK. Congratulations on your long marriage. Cherish what the Lord has given to you both. It has been very helpful to read some of your comments about Jesus in the Temple. Hello Barry, good to hear from you again. Congratulations on your marriage. I hope to get to the UK again in the future, Lord willing. I would like to bring my youngest adult daughter with me if I could make the trip. Several years ago i found your article “No More Sin Consciousness”. I’m blown away with how your doctrine is spot on in regard to a believer’s relationship to sin and law living. I copied your article and have posted it on my “Christianity Revealed” Facebook page. I did so before i asked you if i had your permission. I’d like to ask for that permission now. Thanks for a tremendous article. Joe, sorry for the slow reply. I have been out of town. Thank you for asking, permission granted, please just keep the original copyright byline and http://www.stevecrosby.org in anything you should use. Thank you for your encouragement.